One reason is because few popular strategies pose real threats to power. That’s not an accident: the rules of social change have been clearly defined by those in power. Either you play by the rules — rules which don’t allow you to win — or you break free of the rules, and face the consequences. We all know the rules: you’re allowed to vote for either one capitalist or the other, vote with your dollars, write petitions (you really should sign this one), you can shop at local businesses, you can eat organic food (if you can afford it), and you can do all kinds of great things! But if you step outside the box of acceptable activism, you’re asking for trouble. At best, you’ll face ridicule and scorn. But the real heat is reserved for movements that pose real threats. Whether broad-based people’s movements like Occupy or more focused revolutionary threats like the Black Panthers, threats to power break the most important rule they want us to follow: never fight back. Fighting back – indeed, any real resistance – is sacrilegious to those in power. Their response is often straightforward: a dozen cops slam you to the ground and cuff you; “less-lethal” weapons cover the advance of a line of riot police; the sharp report of SWAT team’s bullets. This type of overt repression is brutally effective. When faced with jail, serious injury, or even death, most don’t have the courage and the strategy to go on. As we have seen, state violence can behead a movement. That was the case with Fred Hampton, an up-and-coming Black Panther Party leader in Chicago, Illinois. A talented organizer, Hampton made significant gains for the Panthers in Chicago, working to end violence between rival (mostly black) gangs and building revolutionary alliances with groups like the Young Lords, Students for A Democratic Society, and the Brown Berets. He also contributed to community education work and to the Panther’s free breakfast program. These activities could not be tolerated by those in power: they knew that a charismatic, strategic thinker like Hampton could be the nucleus of revolution. So, they decided to murder him. On December 4, 1969, an FBI snitch slipped Hampton a sedative. Chicago police and FBI agents entered his home, shot and killed the guard, Mark Clark, and entered Hampton’s room. The cops fired two shots directly into his head as he lay unconscious. He was 21 years old. The Occupy Movement, at its height, posed a threat to power by making the realities of mass anti-capitalism and discontent visible, and by providing physical focal points for the dissent that spawns revolution. While Occupy had some issues (such as the difficulties of consensus decision-making and generally poor responses to abusive behavior inside camps), the movement was dynamic. It claimed physical space for the messy work of revolution to happen, and represented the locus of a true threat. The response was predictable: the media assaulted relentlessly, businesses led efforts to change local laws and outlaw encampments, and riot police were called in as the knockout punch. It was a devastating flurry of blows, and the movement hasn’t yet recovered. (Although many of the lessons learned at Occupy may serve us well in the coming years). Most authorities will tolerate a certain amount of activism because it is seen as a way to let off steam. They appease the protesters by letting them think that they are making a difference — as long as the protesters do not pose a threat. But as protest movements grow, authorities will act more aggressively to neutralize the organizers. The key word is neutralize: it represents a more sophisticated strategy on behalf of power, a set of tactics more insidious than brute force. How can we become resilient to these threats? Perhaps the first step is to understand them; to internalize the consequences of the tactics being used against us. It shouldn’t come as a total surprise that those in power use lies, manipulation, false information, fake identities, and “manipulation [of] online discourse” to further their ends. They always fight dirty; it’s what they do. They never fight fair, they can never allow truth to be shown, because to do so would expose their own weakness. As shown by COINTELPRO, this type of operation is highly effective at neutralizing threats. Snitchjacketing and divisive movement tactics were used widely during the COINTELPRO era, and encouraged activists to break ties, create rivalries, and vie against one another. In many cases, it even led to violence: prominent, good hearted activists would be labeled “snitches” by agents, and would be isolated, shunned, and even killed. Some organizations have ideas so revolutionary, so incendiary that they pose a threat all by themselves, simply by existing. Deep Green Resistance is such a group. If these tactics are being used to neutralize activist groups, then Deep Green Resistance (DGR) seems a prime target. Proudly Luddite in character, DGR believes that the industrial way of life, the soil-destroying process known as agriculture, and the social system called civilization are literally killing the planet – at the rate of 200 species extinctions, 30 million trees, and 100 million tons of CO2 every day. With numbers like that, time is short. With two key pieces of knowledge, the DGR strategy comes into focus. The first is that global industrial civilization will inevitably collapse under the weight of its own destructiveness. The second is that this collapse isn’t coming soon enough: life on Earth could very well be doomed by the time this collapse stops the accelerating destruction. With these understandings, DGR advocates for a strategy to pro-actively dismantle industrial civilization. The strategy (which acknowledges that resisters will face fierce opposition from governments, corporations, and those who cling to modern life) calls for direct attacks on critical infrastructure – electric grids, fossil fuel networks, communications, etc. – with one goal: to shut down the global industrial economy. Permanently. The strategy of direct attacks on infrastructure has been used in countless wars, uprisings, and conflicts because it is extremely effective. The same strategies are taught at military schools and training camps around the planet, and it is for this reason – an effective strategy – that DGR poses a real and serious threat to power. Of course, writing openly about such activities and then taking part in them would be stupid, which is why DGR is an “aboveground” organization. Our work is limited to building a culture of resistance (which is no easy feat: our work spans the range of activities from non-violent resistance to educational campaigns, community organizing, and building alternative systems) and spreading the strategies that we advocate in the hope that clandestine networks can pull off the dirty work in secret. When I speak to veterans – hard-jawed ex-special forces guys – they say the strategy is good. It’s a real threat. That threat has not gone unanswered. In a somewhat unsurprising twist, given the information we’ve gone over already, DGR’s greatest challenges have not come from the government, at least not overtly. Instead, the biggest challenges have come from radical environmentalists and social justice activists: from those we would expect to be among our supporters and allies. The focal point of the controversy? Gender. The conflict has a long history and deserves a few hours of discussion and reading, but here is the short version: DGR holds that female-only spaces should be reserved for females. This offends many who believe that male-born individuals (who later come to identify as female) should be allowed access to these spaces. It’s all part of a broader, ongoing disagreement between gender abolitionists (like DGR and others), who see gender as the cultural lattice of women’s oppression, and those who view gender as an identity that is beyond criticism. Due to this position, our organization has been blacklisted from speaking at various venues, our organizers have received threats of violence (often sexualized), and our participation in a number of struggles has been blocked – at the expense of the cause at hand. A Case Study in JTRIG? 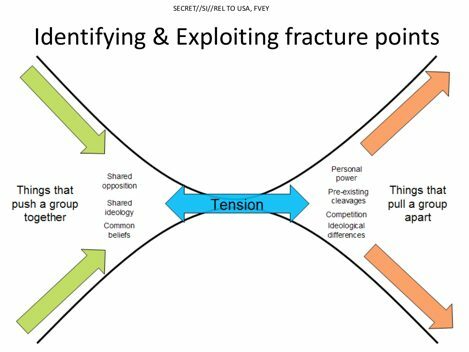 Much of the anti-DGR rhetoric has been extraordinary, not for passionate political disagreement, but for misinformation and what appears to be COINTELPRO-style divisiveness. Are we the victims of a JTRIG-style smear campaign? On February 23 of this year, the Earth First! Newswire released an anonymous article attacking Deep Green Resistance. The main subject of the article was the ongoing debate over gender issues. If these claims weren’t so serious, they would be laughable. But lies like this are no laughing matter. The timing of these events – the Earth First! Newswire article followed the very next day by Greenwald’s JTRIG article – is ironic. Of course, it made me think: are we the victims of a JTRIG-style character assassination? Or am I drawing conclusions where there are none to be drawn? The campaigns against DGR do have many of the hallmarks of COINTELPRO-style repression. They are built on a foundation of political differences magnified into divisive hatred through paranoia and the spread of hearsay. In the 1960s and 70s, techniques that seem similar were used to create divisions within groups like the Black Panthers and the American Indian Movement. Ultimately, these movements tore themselves apart in violence and suspicion; the powerful were laughing all the way to the bank. In many cases, we don’t even know if the FBI was involved; what is certain is that the FBI-style tactics – snitchjacketing, rumormongering, the sowing of division and hatred – were being adopted by paranoid activists. In some ways, the truth doesn’t really matter. Whether these activists were working for the state or not, they served to destroy movements, alliances, and friendships that took decades or generations to build. I’ll be clear: I don’t mean to claim that the “Letter Collective” (as the anonymous authors of the February 23 article named themselves) are agents of the state. To do so would be a violation of security culture. Modern activists seem to have largely forgotten the lessons of COINTELPRO, and I am wary of forgetting those lessons myself. Snitchjacketing is a bad behavior, and we should have no tolerance for it unless there is substantive evidence. But members of the “Letter Collective”, at the very least, have violated security culture by spreading rumors and unsubstantiated claims of serious misconduct. Good security culture practices preclude this behavior. In the face of JTRIG and the modern surveillance and repression state, careful validation of serious claims is the least that activists can do. Didn’t we learn this lesson in the 60s? By itself, verifying rumors before spreading them is a poor defense against the repression modern activists face. Instead, we must challenge divisiveness itself: one of the biggest threats to our success. This is how movements are neutralized: those who should be allies are divided, infighting becomes rampant, and paranoia rules the roost. To combat these strategies, we must understand the danger they represent and how to counter them. We all want to win. We want to end capitalism, reverse ecological collapse, and build a culture in which social justice is fundamental. Many of us have different specific goals or strategies, but we must find similarities, overlaps, and areas where we can work together. Many people across the left share 80% or more of their politics, and yet constructive criticism and mature discussion of disagreements is the exception, not the rule. We need more thoughtful behavior. Don’t spread rumors, don’t tear down other activists, and don’t forget who the real enemy is. Don’t waste your time fighting those who should be your allies – even if they are only partial allies. Let’s disagree, and let our disagreements help us learn more from each other and build alliances. In the end, that’s our only chance of winning: together. U.S. Inequality is at its highest point since 1928. One in three women is beaten, raped, or otherwise abused in her lifetime. Obama has overseen more deportations — more than 2 million — than any president in history. Two hundred species are driven extinct every day. The Koch Brothers get 40,600,000,000 votes. The authors of the article come to this conclusion due to a statement by Lierre Keith that we should “abolish race” — apparently, they take this established and central theory of anti-racist organizing and theory to be instead a desire to erase culture – an absurd comparison. Any DGR member who did such a thing would be removed, as this would be a violation of the Code of Conduct. Security culture is a set of practices and attitudes designed to increase the safety of political communities. These guidelines are created based on recent and historic state repression, and help to reduce paranoia and increase effectiveness. Learn more about security culture on the DGR website. Opportunists, who are generally involved in organizing for prestige and power, don’t even merit mention in this neutralization strategy. They should be excluded from our political organizing out of hand. Max Wilbert lives in the Pacific Northwest, where he works to support indigenous resistance to industrial extraction projects, anti-racist initiatives, and radical feminist struggles as part of Deep Green Resistance. He makes his living as a writer and photographer, and can be contacted at max@maxwilbert.org. Thank you for posting this! Everyone please read and share widely. No matter what movement you are involved with, this is seriously useful and necessary information. 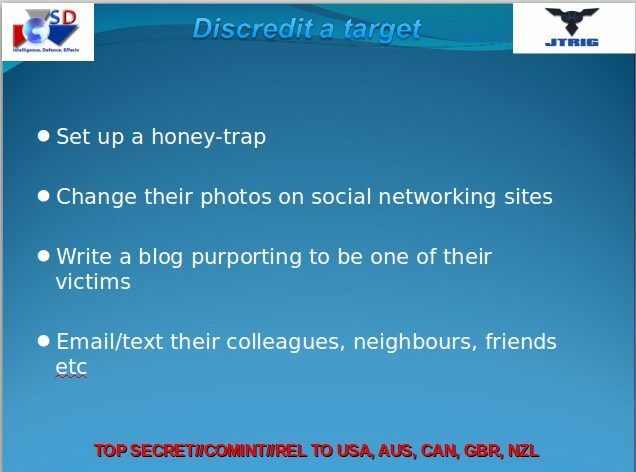 I’ve seen these tactics in use against our local Occupy, the free energy people, Cobra, the ET/UFO groups, environmental activists and many others. Great, thought provoking essay Max! Also worth checking out is the recent interview by Stella Strega of Max Wilbert as part of the Horizontal Hostility Conference. And join the discussion at the Horizontal Hostility Facebook group! Not sure this link relates to the article, but I thought you’d like this one. And the last paragraph asks about civilization ending… I wish there was a place on your facebook page to post new links, etc.